Chloe, such a creative little soul, bursting with wonder and magic! Last Saturday we went out to dinner with family to celebrate two May birthday's and Mothers Day. 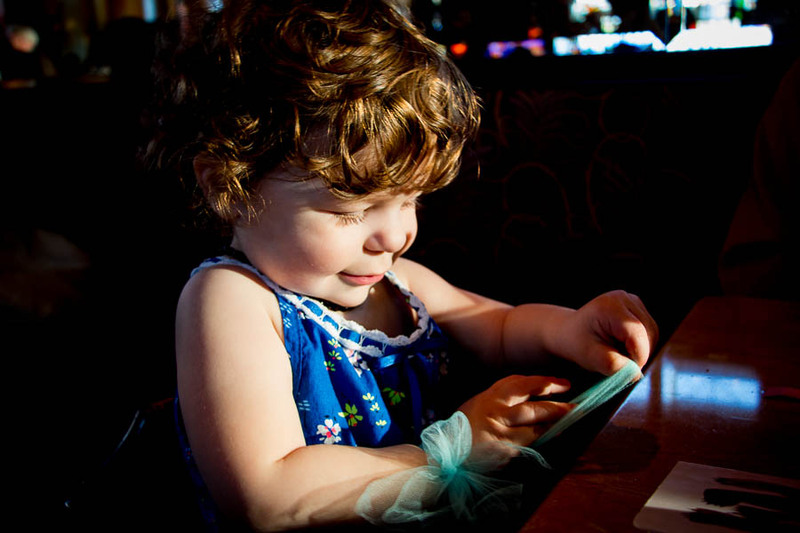 Chloe sat in her highchair, mesmerized by a simple strand of blue ribbon. 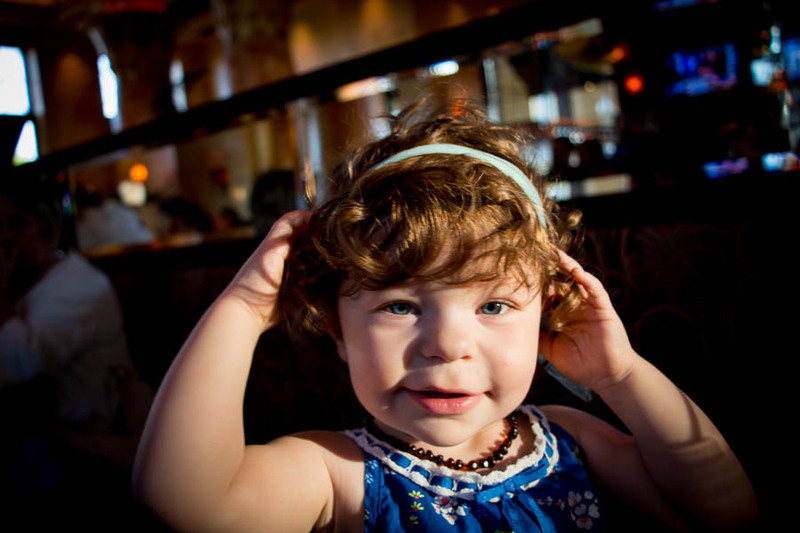 She wrapped it around her small wrists and then around her head like a pretty headband. I quietly watched her play as the sun poured in through the large windows, lighting up her face in the most beautiful way! A few portraits that inspired me from last week, We love you more than..., Big Little, and Fercute. As always joining in with the Jodi for the 52 project. I love those little girl curls! Thank you so much Lisa! She loves to play dress up! I just love her beautiful face, set in frame by those amazing curls! Lovely shot, I love how you have captured the light. How amazing is Mothers Day, when you are a mum! Thank you so much Rachel! I love being able to celebrate Mothers Day, hope you had a wonderful Mama's Day too!